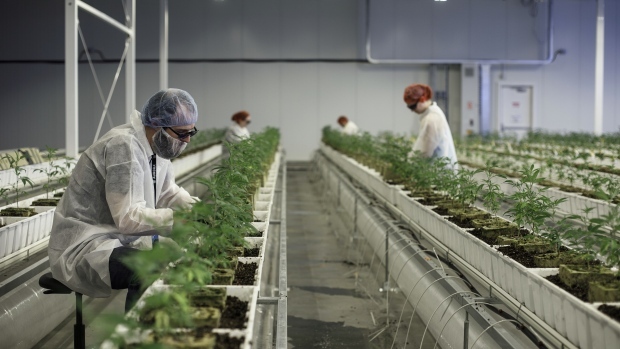 EDMONTON -- Aurora Cannabis Inc. (ACB.TO) plans to acquire the remaining 48 per cent of Hempco Food and Fiber Inc. that it does not already own through an exchange of shares. Under a friendly agreement between the companies, Edmonton-based Aurora will pay the equivalent of $1.04 per Hempco share, payable in Aurora shares. Hempco shares closed at 91 cents on the TSX Venture Exchange on Monday, while Aurora shares closed at $11.37 on the Toronto Stock Exchange. Aurora already owns approximately a 52 per cent stake in Hempco, which makes hemp-based foods and nutritional supplements for people and animals. Hempco provides Aurora with a low-cost, high-volume source of hemp for the extraction of CBD (cannabidiol), a substance with therapeutic properties that's also found in cannabis. The proposed deal will require shareholder approval by two-thirds of the votes cast by shareholders as well as regulatory and court approvals and other customary conditions.